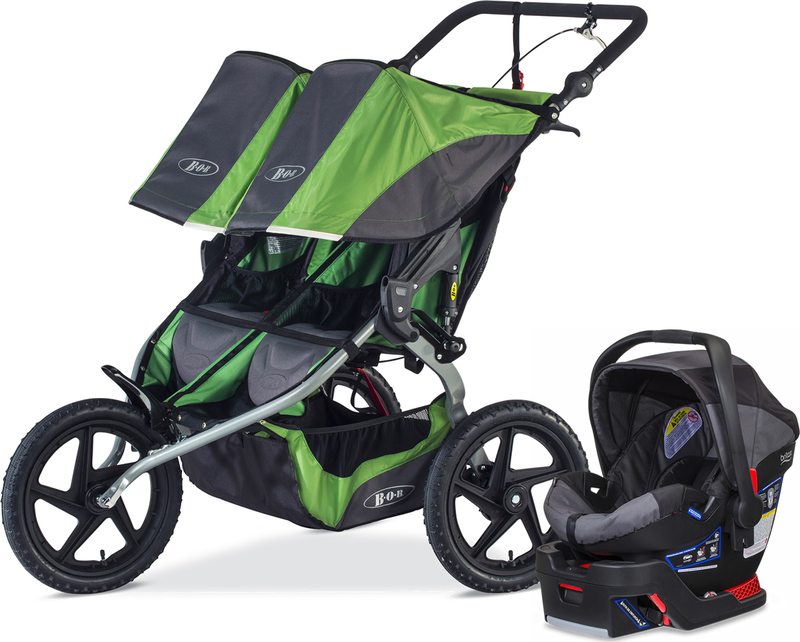 The Sport Utility Stroller DUALLIE from BOB, the #1 jogging stroller, is perfect for adventures off the beaten path with your two kids. With a fixed front wheel for added stability and a hand brake for downhill control, you can hit the trails with your little ones in tow. And the pneumatic knobby tires and state-of-the-art adjustable suspension system smooth out bumps along the way. Create the ideal travel system for your family with the BOB B-Safe 35 Infant Car Seat by Britax. 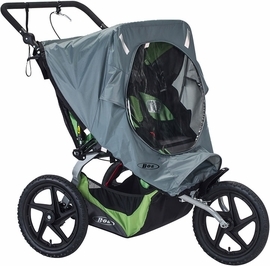 Fixed front wheel provides increased stability for hiking and jogging or when the trail gets rough. 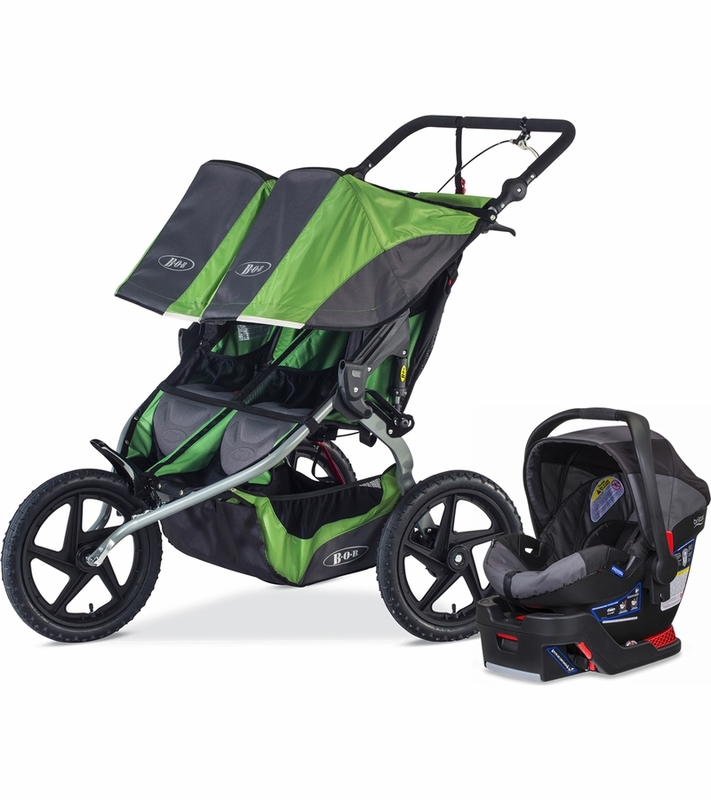 16� knobby, air-filled tires on high-impact polymer wheels mean that this stroller is built to handle all your trail adventures. One-hand recline adjustment lets you quickly lay the seats back with a simple squeeze of a button. Extra-large UPF 50+ canopies shield your children from sun and weather. Include large viewing windows so you can keep a watchful eye. 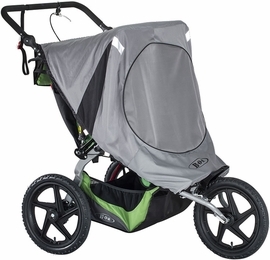 Two-seat �duallie� design transports 2 children with a 50 lb weight capacity for each seat.